It may be 90 degrees out - but fall festival season is kicking off. 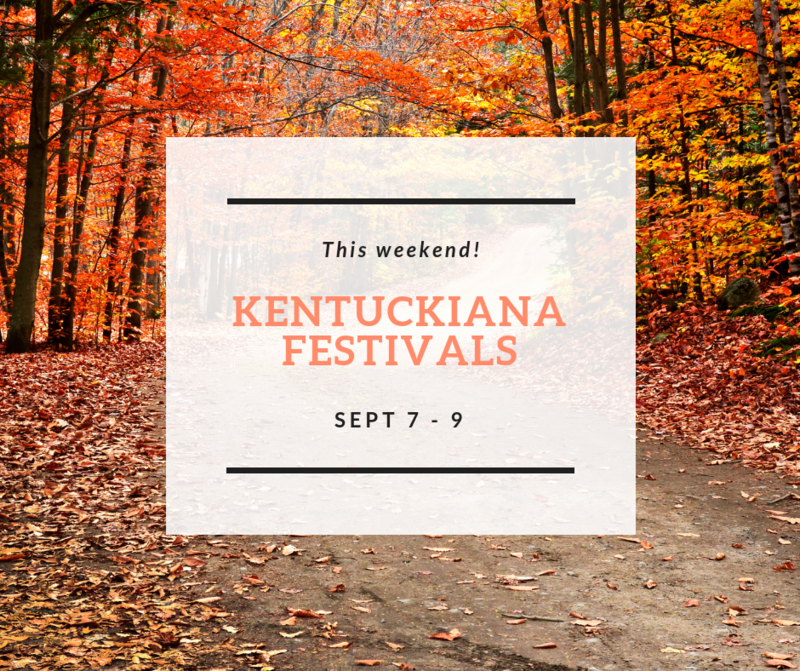 This weekend, Kentuckiana plays host to a ton of festivals - celebrating not just fall but art, music, apples, and even dragon boats, too. No matter what you’re into, there’s sure to be something for you. This "down-home" country festival will feature live music, laser tag, food booths, and more. Monster Truck Show on Saturday. Taking place in historic Middletown, this fest features a parade, dog show, 5k race, lots of fun for the kids, and more. Five bluegrass bands will perform at this music festival set in a lush landscape of 8 acres. It also features food, wine, desserts and blacksmiths. $10 admission. This annual event kicks off the fall season with a parade, beauty pageant, live music, and lots of good eats. It’s Race Day! The 5th annual Dragon Boat Race takes place on the Ohio River. No, this isn’t a festival of country hams. It’s a convention for amateur radio enthusiasts! Enthusiasts will enjoy a flea market, exhibits, forums/classes, and more. $8 admission for ages 13+. To celebrate the city of New Albany, this event will have live music, food trucks, bounce houses, vendors, and more. The 2nd annual event features 40 booths of local art and handmade crafts. It will also have entertainment, a quilt raffle, a playground for children, and more. Free admission. This art festival features 180+ juried artists, children’s activities, food, and entertainment. Free admission. In addition to the juried art show, this event will have children’s activities, circus performers, and 5+ Interactive Art Stations where guests can create their own art. Free admission. This two-day festival features music, crafts, pageants, food, kids activities. And, of course, apple-related events like the apple pie contest and apple cider relay. Free admission.